Onion ID is making life easier for hosters, giving them visibility, security and auditing. IT, DevOps save hassle and 3 hours per server/app per month, and makes compliance easier. Onion ID, one of the most promising startups in the field of Privileged Access Management, will be presenting at this year's HostingCon Global at the Morial Convention Center in New Orleans, LA. The conference will be held July 24-27 with the aim to serve the professional interests of the Hosting and Cloud Community. As a company at the forefront of Privileged Access Management, Onion ID provides an end-to-end solution that allows businesses to prevent insider threats, secure servers and 3rd party apps. 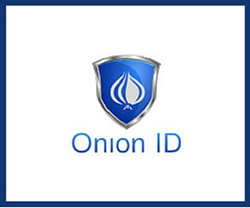 “Onion ID is making life easier for hosters, giving them visibility, security and auditing. IT, DevOps save hassle and 3 hours per server/app per month, and makes compliance easier.” says Anirban Banerjee, Founder and CEO of Onion ID. Onion ID's dynamic authentication approach supports state-of-the-art features including geofencing, biometric verification, and behavioral patterns to ensure that every employee enjoys easy access to every resource that they need, when they need it. By providing fine-grained control over what each employee can see, click on, fill out or download, Onion ID allows you to quickly detect unusual behavior and prevent attempts for unauthorized access, keeping your infrastructure secure. Onion ID’s customers save around 3 hours per server or application per month of IT time. No more manual user creation or management. Using Onion ID provides 100% visibility for compliance and security teams and cuts down time needed for SOC I/II, PCI, SOX, HIPAA compliance. Come by Onion ID’s booth #102 and learn about the latest in Privileged Access Management. Onion ID’s team of experts will be there, ready to book your personal appointment for a free live demonstration and consultation. Onion ID, established in 2015, is one of the most promising startups in the field of Privileged Access Management (PAM). It provides an end-to-end solution that allows businesses to prevent insider threats, secure servers and 3rd party apps, gain complete visibility into how employees utilize company resources, and drastically reduce license costs.